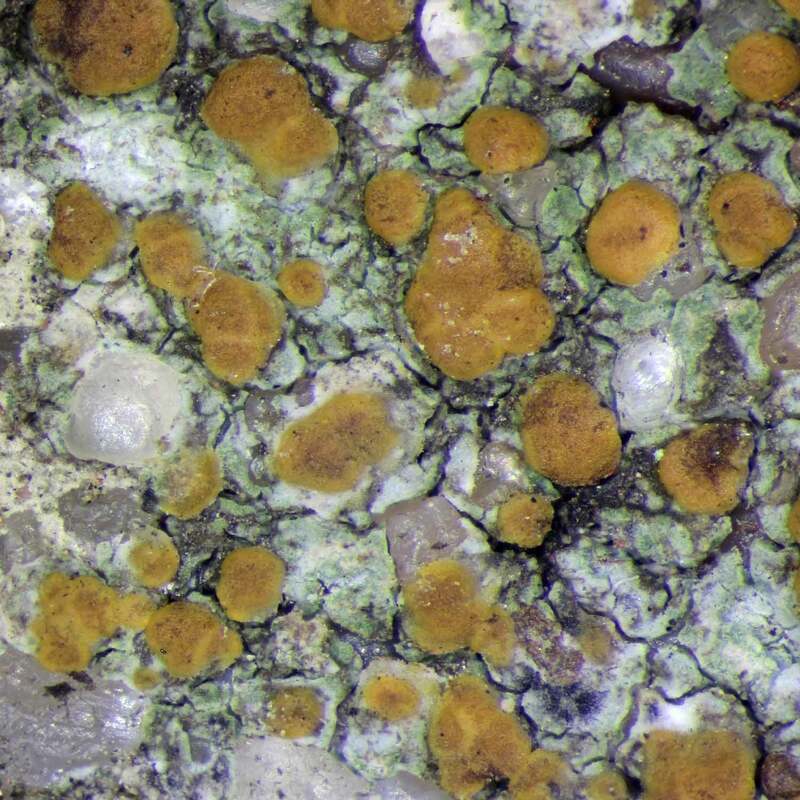 Thallus superficial (epilithic), granular to cracked-polygonal, pale grey to dirty grey-brown or grey-green. Isidia and soredia absent. Photobiont chlorococcoid. 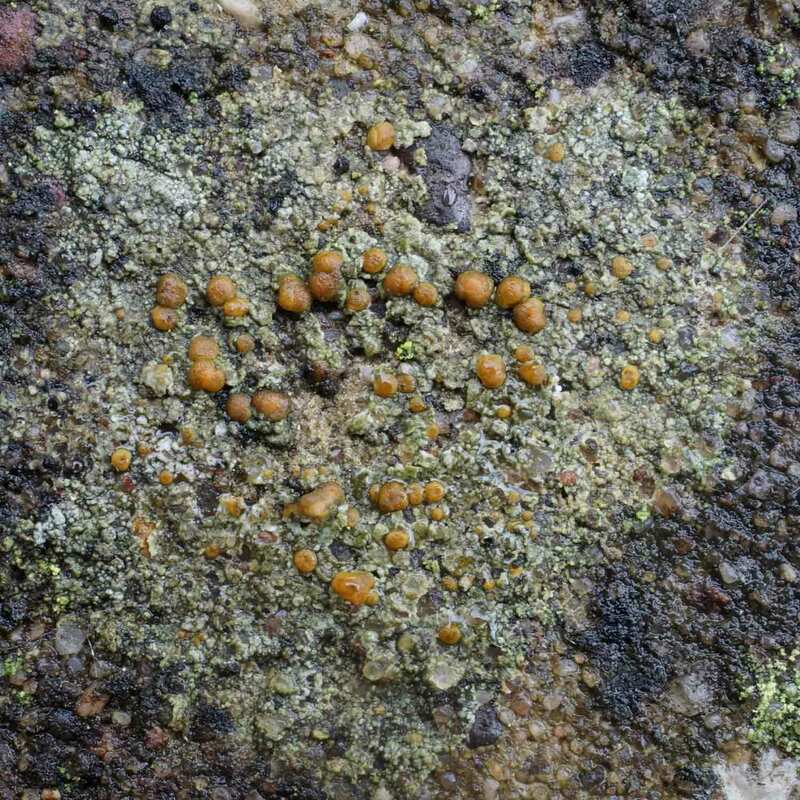 Teleomorph: ascomata apothecia, 0.3-0.9 mm diam., not in pits, slightly convex to moderately convex, ± dirty or dull orange. Thalline exciple absent. True exciple poorly developed, composed of hyaline branched hyphae. Epithecium with orange granular material (anthraquinone). Hymenium hyaline but with some orange granular intrusions, I+ blue. Hypothecium pale brown. Interascal tissue composed of conglutinated paraphyses, 2-3.5 μm diam., sparingly branched and anastomosed, the apices not or scarcely swollen. Asci cylindric-clavate to almost saccate, Porpidia-type, 8-spored. 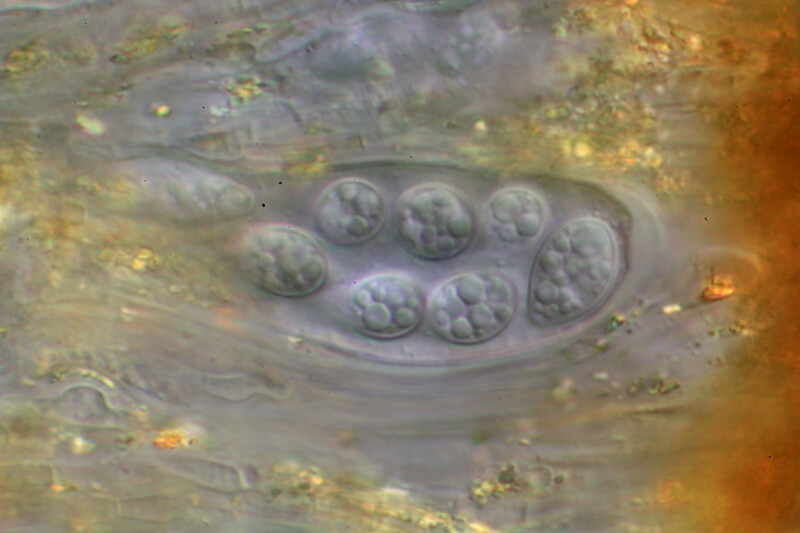 Ascospores 8-17 × 5-8 μm, ellipsoidal to ovoid, aseptate, quite thick-walled, multiguttulate, smooth, without an epispore, gelatinous sheath or appendages. Chemistry: the epithecium is K+ crimson.